Delivery from £7.00 to United Kingdom in 1 - 5 working days. 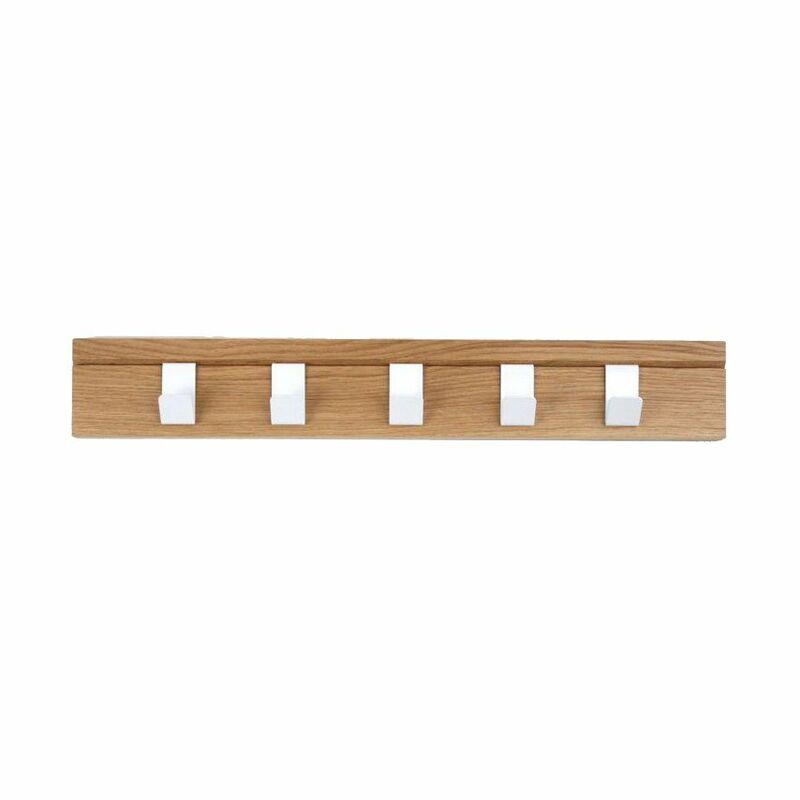 45 (oak) A solid oak coat rail supplied with 5 cantilevered steel hooks. Each hook can be moved independently, locating into the 45 degree slots from which the product takes its name. Proudly made in the UK. Materials: Available in Oak or Walnut, with white powder coated steel hooks.